Click here to download a PDF file you can print and distribute to each student to review with their family at home! 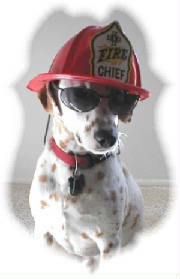 Click Here to got to SAFE-KIDS.org to learn more about home Fire Safety and more SAFETY Basics for your whole family. Get the facts regarding in home Fire Sprinklers! An incredible investment especially when building a new home! Awesome video! Carbon Monoxide - The SILENT Killer! ‘Common Sense’ Fire- and Life-Safety Education For Literally All Ages! Just a friendly reminder, anytime is the right time to review these Fire- and Life-Safety measures and procedures you can post on your refrigerator for all to read! · Change your Smoke Detector Batteries; just remember to do this every time you change your clock every Spring/Fall when you accommodate daylight savings time. · Stop, Drop and Roll and cover your face/eyes: This action will smother the flames as running will only introduce more Oxygen to fan the flames and therefore will exponentially increase any amount of pain and suffering of a burn victim. · When you call 911, call from a SAFE place first, then remember to never ever, NEVER hang up the phone! [Emphasis added] Help will always arrive even if no words are spoken! Cell phone 911 calls are of course less forgiving but the same procedure applies. · In case of a fire in any building, check your exit door for HEAT with the back of your hand, …and then ONLY if it is cool, kneel down and open the door ever so SLOWLY! · If Hot to the touch or feel, seal the bottom of the door with a sheet and/or blanket to prevent toxic, superheated gases from entering the very room that may save your life. * Place a “Tot Finder” sticker on the outside of each child’s bedroom window for fire fighters to see upon their first walk around of your home to evaluate additional rescue procedures. · If unable to escape to the outside by opening the window and punching out the screen, stay low to the floor in an opposite corner of the door under and behind any protection available (i.e. bedding material, etc.) to trap cooler uncontaminated air for breathing and to possibly shield any radiant heat; remain as calm as possible; Note: Small children may hide/be frightened by Fire Fighters in FULL Bunker Gear! · If able to escape, stay low where the air is cooler, easier to breathe, where greater visibility is afforded to see farther across a room or hallway to assist a fire victim to determine the best way out when seconds truly count. · If a successful escape (i.e. to the back yard) does not allow safe passage to the ‘pre-established’ meeting place in the front of the home (flames impinging both side yards of a home), scream and yell until someone hears and finds you to be rejoined with all family members A.S.A.P. [Again, fire fighters can become injured and worse searching for fire victims who have already escaped safely yet remain unaccounted for! We never end our search until we are forced out at great risk of injury to ourselves!] Note, small children may hide in fear and therefore experience incredible psychological trauma assuming the worst has occurred while Mom and Dad simultaneously assume the worst from in front of a home as they observe each fire fighter emerge unsuccessful! Protect us while you protect your family! · Make sure each child memorizes and then recites with eyes closed the clothing worn by each parent and/or guardian. This is an excellent habit to create and repeat that even works when going to the grocery store or shopping mall. · Capture a digital photo of each child (preferably with a cell phone camera PRIOR to embarking any place(s) of gathering.) This photo can then be broadcast immediately to assist any and all necessary emergency personnel who may be assigned to that child’s search and recovery that very day. It takes only a moment to capture a FULL and ACCURATE image of a child that fits the exact physical description and clothing worn. · Instruct each child if separated from a parent/guardian, never leave the area in which last sight/contact was made with the “missing” parent(s): STAY PUT! DO NOT MOVE! MOM AND/OR DAD WILL COME BACK LOOKING FOR YOU! · When going on a hike or an outing or camping trip, always have a buddy (as taught when swimming), communicate every detail about where, when, and how complete with the promise to return at a specific time. If lost, save your energy and remain near present location that provides both best shelter and if possible, near an open area that provides highest visibility. Never ever split-up unless absolutely necessary (i.e. as LAST RESORT during a medical emergency and then only when the ‘buddy’ has FULL accurate knowledge of entire route back and forth from place where victim of injury/illness promises to wait until help to arrives). REMAIN CALM! CONSERVE ENERGY! Do all you can to maintain your faculties and be as creative as possible to utilize every resource available. · ALWAYS Wear Your SEATBELT! Just imagine if you were hurling at a rate of 70 miles an hour only inches above the pavement and gravity took its natural course. Now imagine being protected within a strong metal frame equipped with air-bags and the means to keep you secure in your padded leather seat in the event you hit or something causes you to be hit unexpected. Can you ever predict the next incident when you might wish you were strapped in the latest technology money can buy!?! Not only will you increase your chances of survival, but you’ll also remain behind the wheel where you belong to maintain better control of your vehicle! The choice is yours! Fact is, people die in car accidents, but much fewer since passage of this law! 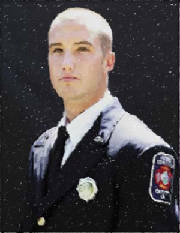 In loving memory of Kyle R. Wilson, Technician 1, Woodbridge Station 12, Prince William County Department of Fire and Rescue, Virginia, died while searching for "POTENTIAL" fire victims whom all seven (7) had miraculously escaped but were SAFE next door at 0605 hrs. on April 16, 2007. 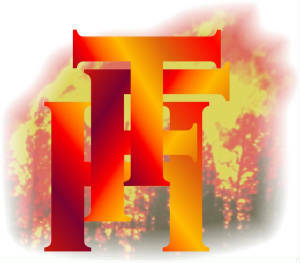 May all future fire victims learn the IMPORTANCE to communicate, "ALL ARE OUT!" ...when in fact, "ALL ARE OUT!" ...from their 'PRE-DETERMINED MEETING PLACE' ...no matter the time of day or current weather conditions! ...so every fire fighter clearly knows whether or not to truly put his or her LIFE on the line for another! What an incredible TRAGEDY! I constantly ask fire fighters, "What do you TEACH those in your community to SAVE YOUR LIFE!?!" "We will never forget!" ...your love, your compassion, your selfless commitment to your fellow man! May GOD be with you and your loved ones always. Please click here for the "Line of Duty Death Fact Sheet"